20 Comments This post may contain affiliate links. 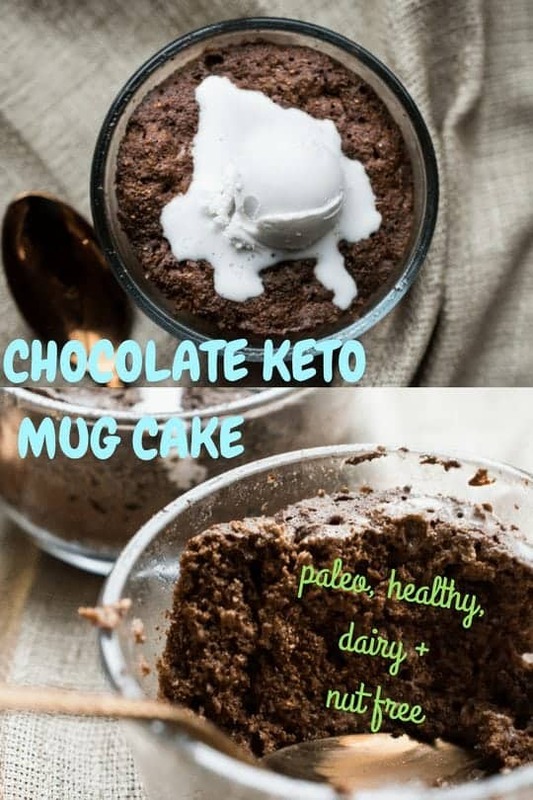 I’ve been keeping this squeaky clean, chocolate keto mug cake in my back pocket for a while. My hope was to make a recipe video for it and debut it once I re-introduced eggs, stevia, and cacao from my AIP Keto Reset. But re-intro’s have been crazy. Life has been crazy. Amazing- but crazy. Announcing my new book crazy. 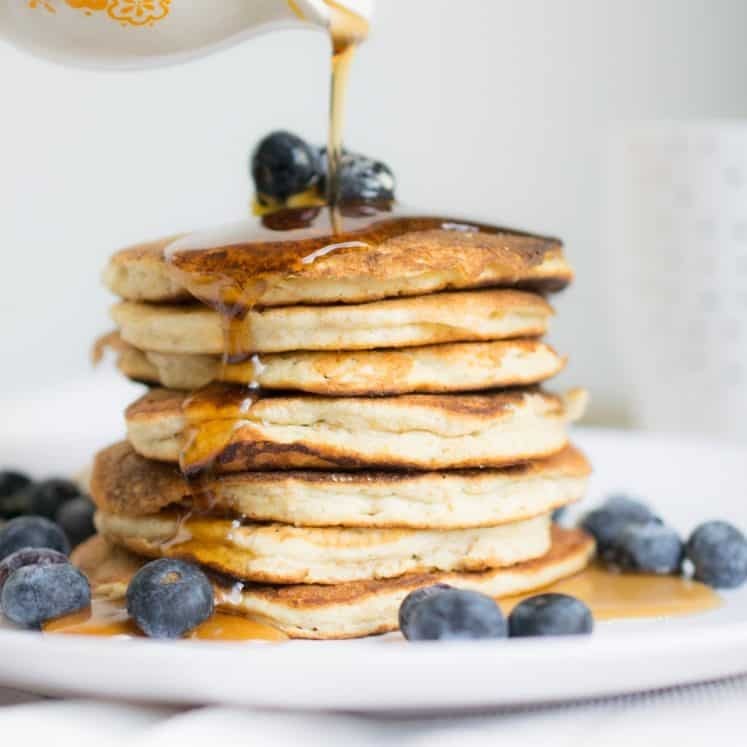 Oh yeah, I wrote a dairy + nut free keto paleo cookbook. Made Whole. Check it out HERE. So! 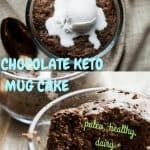 I’m posting this chocolate keto mug cake recipe now. Why? Because you deserve it! It’s easy to make. Dairy free, nut free an totally delish. Bonus it serves two. 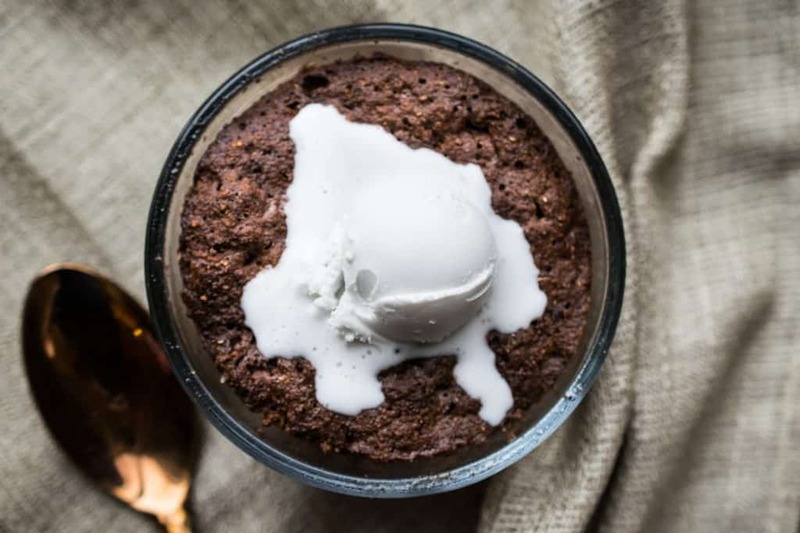 The perfect treat to whip up with your honey while you Netflix and Chill. 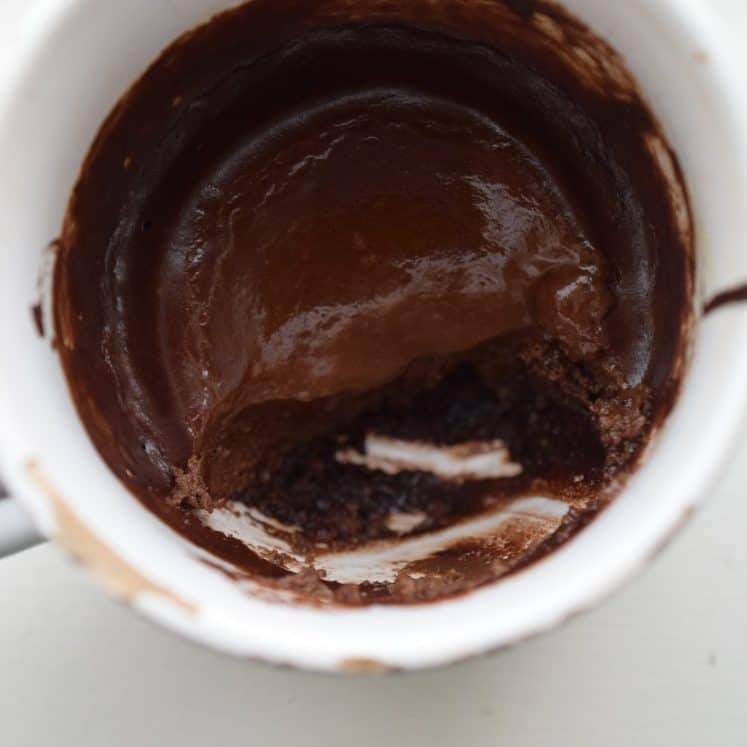 So technically they’re not mug cakes because I used 6 ounce Pyrex ramekins. 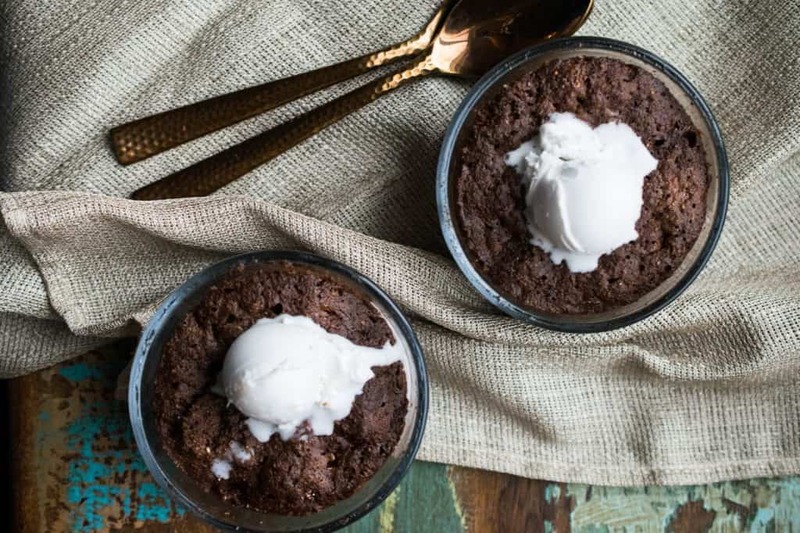 But I mean… you microwave them, so yeah, mug cake. You simply mix up the ingredients in a small bowl and distribute evenly among the ramekins. Nuke and presto! However, you can add the mix to a large mug, you know the one you use when you’re only having “one cup of coffee” but it’s actually the size of your face. That one. And double the cooking time. A tad bit of coconut flour to thicken. A good amount of anti-oxidant cacao (or carob powder). Large eggs, for binding, fluffy factor and protein. Coconut milk and coconut oil for fat. Stevia glycerite, my preferred kind (taste best and it’s better quality). Baking soda. Pinch of salt. Splash of vanilla. 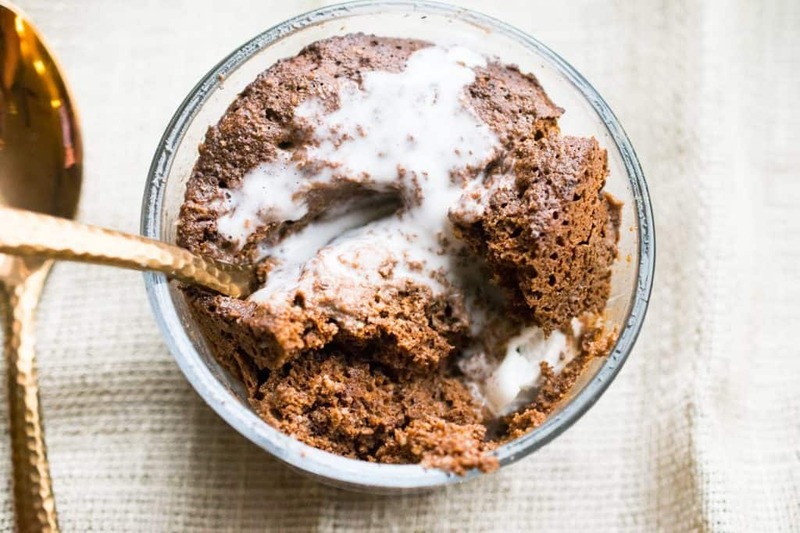 These chocolate keto mug cakes aren’t eggy or spongy and they taste like real cake, without the sugar overload. 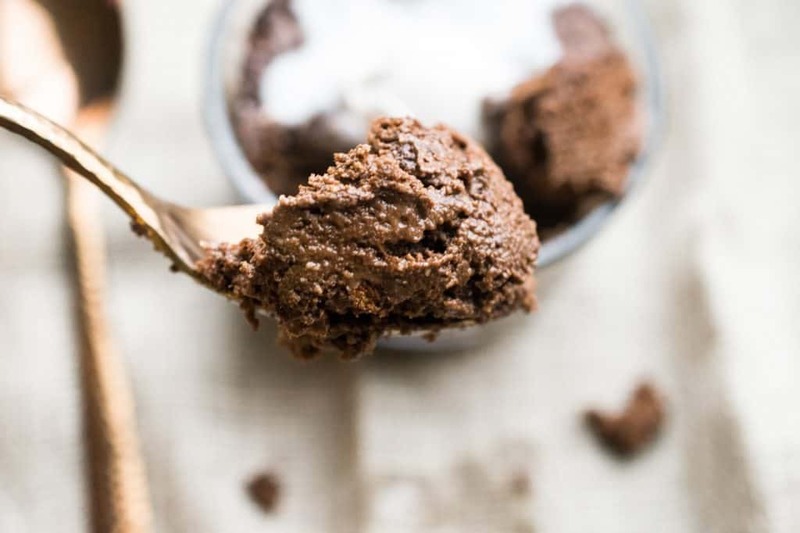 In a small bowl combine the coconut flour, cacao powder, baking soda and salt. Stir with a fork to combine. Add in the eggs, coconut milk, coconut oil, stevia and vanilla. Mix with the fork until fully combined. If the eggs are cold the coconut oil might clump up- that’s okay. 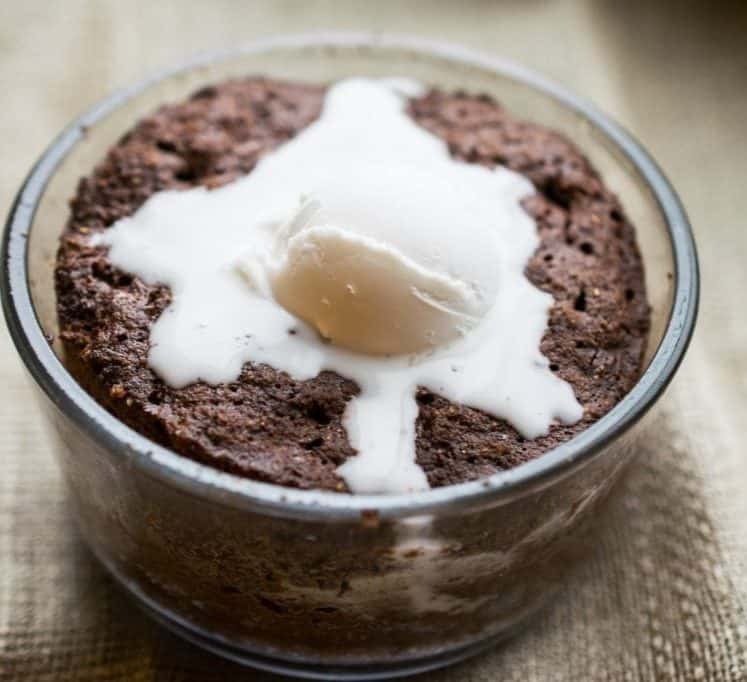 Lightly grease your ramekins then pour in the cake mix half in each ramekin. Place them in the microwave and cook for 1 minutes. You can also make these in the oven, 350F for 15 minutes or until done. 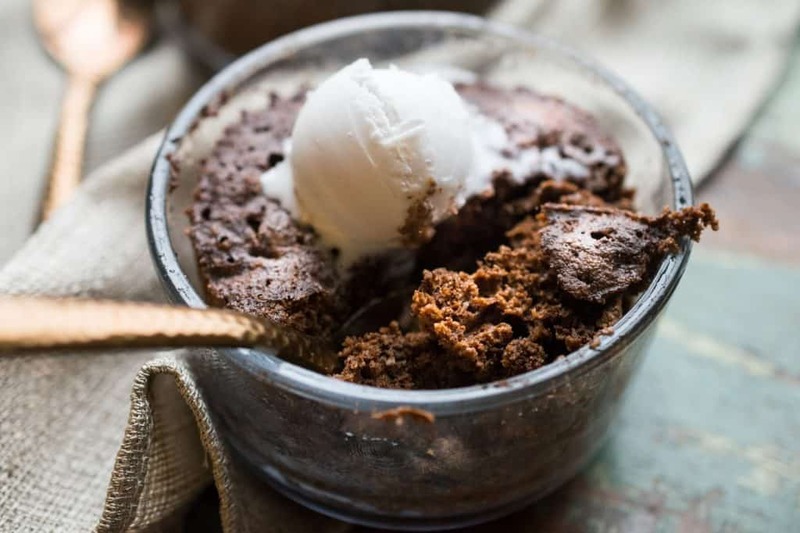 Place a tablespoon of coconut cream on each mini cake and dig in! I’ve never eaten poison with a fork before until tonight. I took one bite of this and had to immediately brush my teeth and wash my mouth with Listerine. Whyyyyy. Love your blog but this is just no bueno. 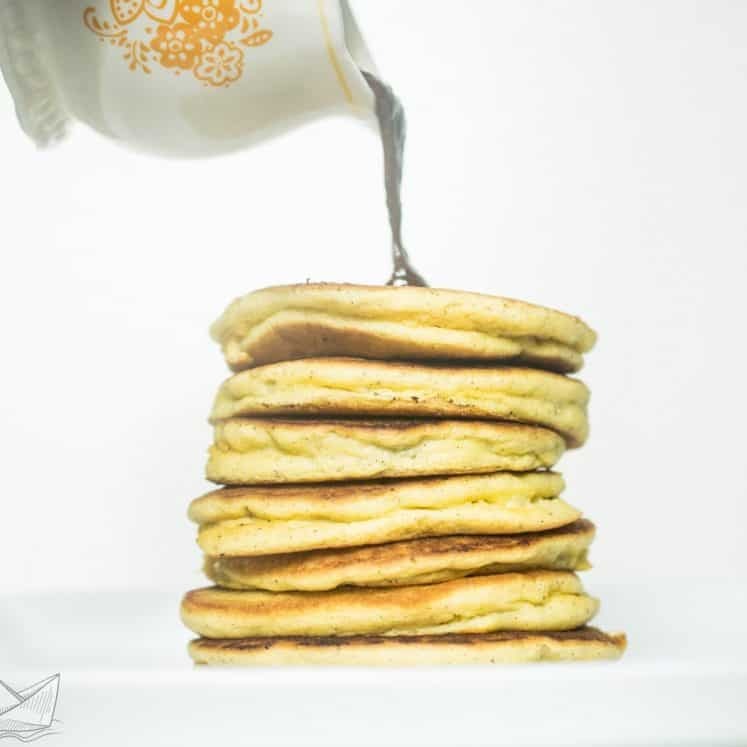 What type of stevia did you use? I’m fairly certain from your reaction, you used regular liquid stevia or maybe the powdered kind… not glycerite… which is why it tastes gross. 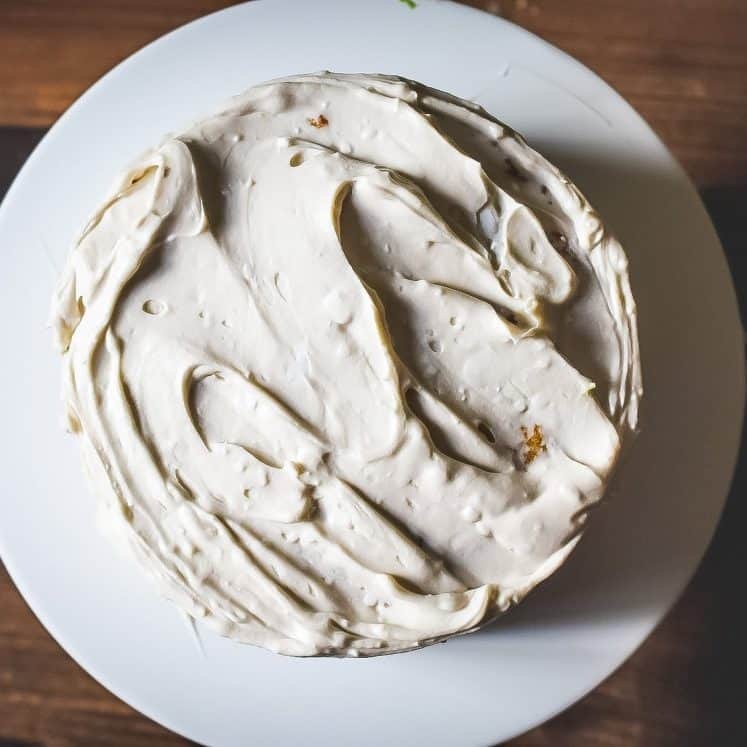 Made this using monk fruit drops instead of stevia and it was delicious. I put coconut cream on one and made a keto caramel sauce to put over the second one. Both were equally yummy.